NITRO ULTRA is a unique blend of nitrogen, boron and chelated copper, iron, manganese, magnesium and zinc. Specifically formulated for corn, soybeans, wheat and cotton. 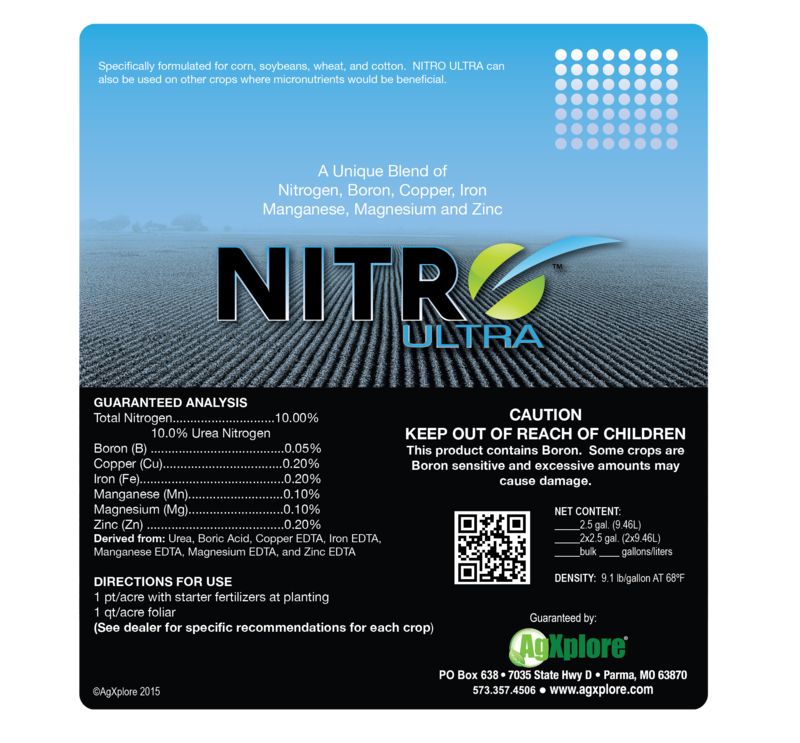 NITRO ULTRA can also be used on other crops where micronutrients would be beneficial.